I love a fun parade.. Especially one not pushed on by the big corporations, dominant messages of commercialism and shameless promotions. Also, there are no motorized vehicles, no animals, no company logos. 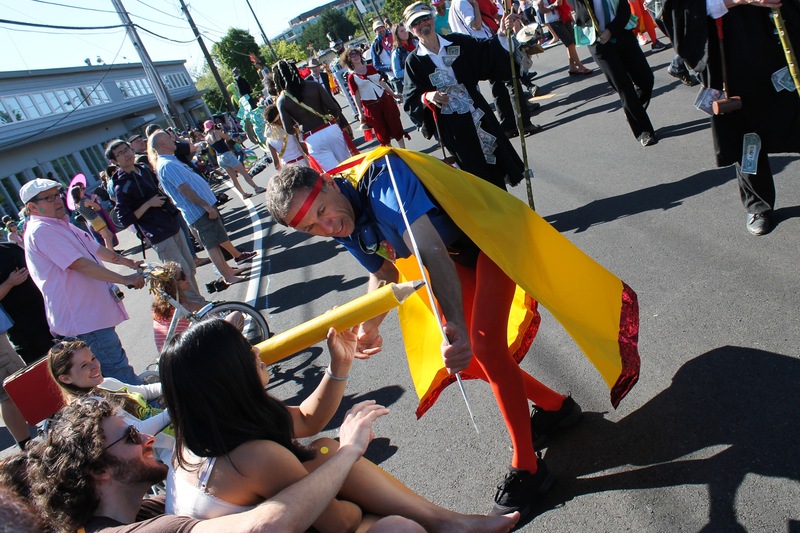 Here, is the good ol Fremont Solstice Parade, in north Seattle. 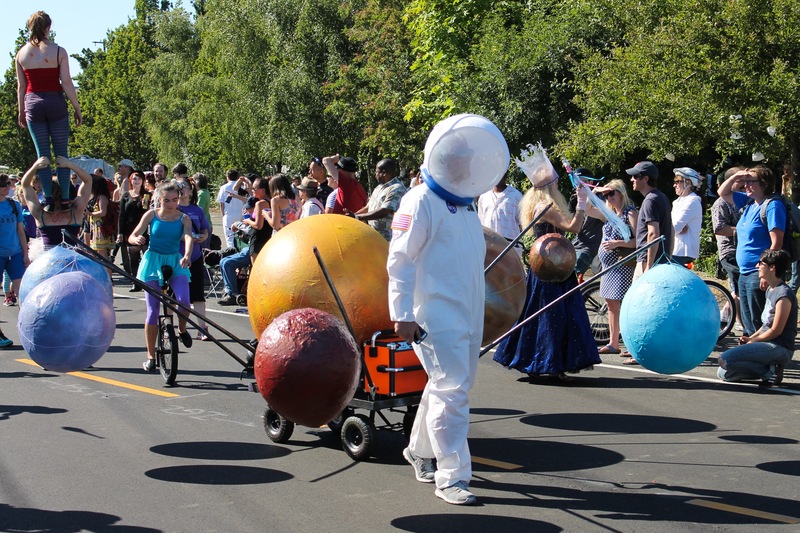 The annual event is produced by the Fremont Arts Council, with much funded support by the locals. 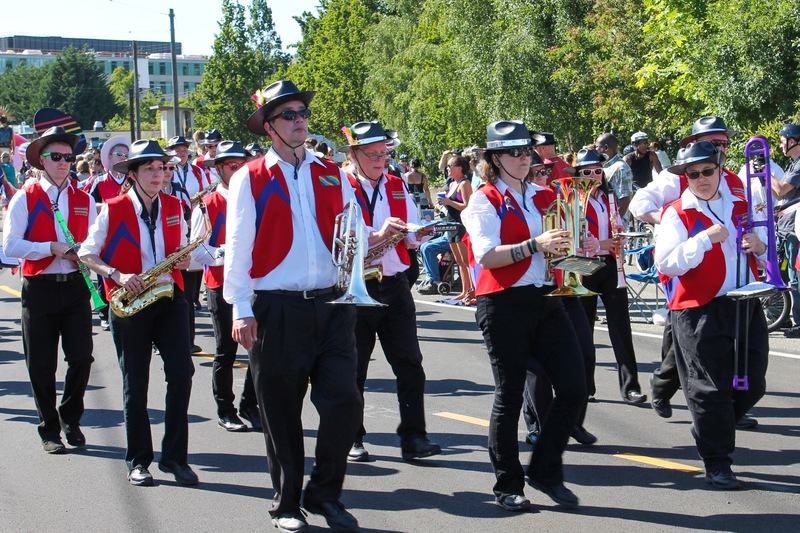 Check out some of the best of the parade below. I love the good ol fashioned big band music, the hand-pulled floats, the creative puppetry, dance numbers. All, very local and very friendly. 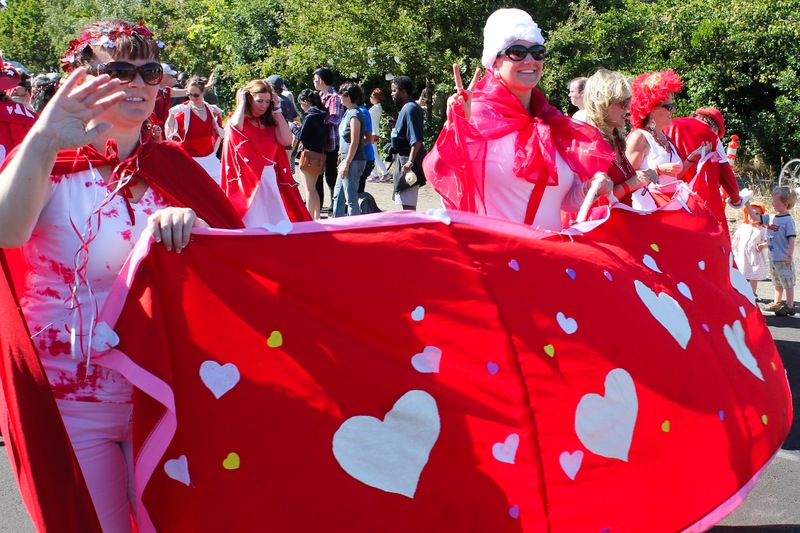 At times (at least where I was, near the end with less people), some parade participants would surprise random crowd spectators with silly props, photo-bombs, and hugs. 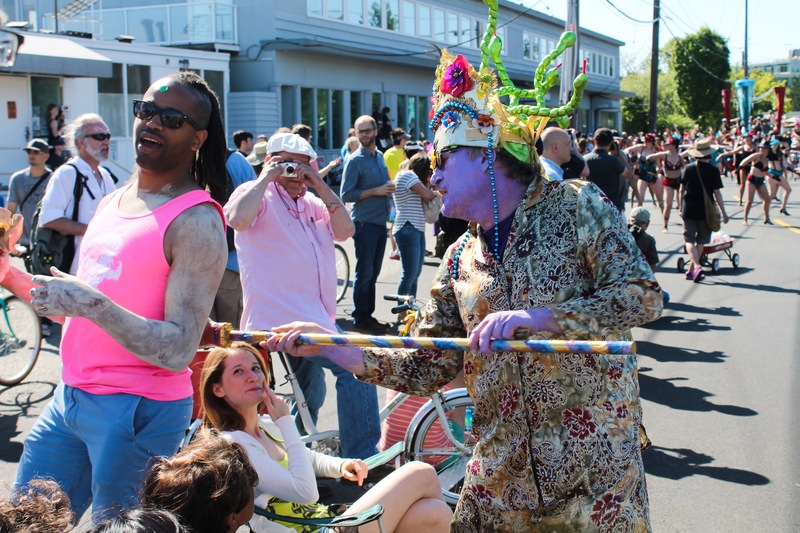 Posted on June 24, 2014 by Orion T.	This entry was posted in Art, People, Photography, Saturdays, Travel and tagged 2014, fremont fair, fun, love, parades, Photography, Seattle, Solstice Parade, summer, travel. Bookmark the permalink.